The Arville Group is a family-owned company that has been manufacturing technical textiles for over 60 years. Our integrated manufacturing capabilities cover a full range of technical textile specialisms, offering a stand-alone or fully integrated portfolio of fabric design, weaving, finishing, coating and fabrication. Our expertise puts us at the leading edge of technical textile manufacturing, providing cost-effective solutions for demanding applications. 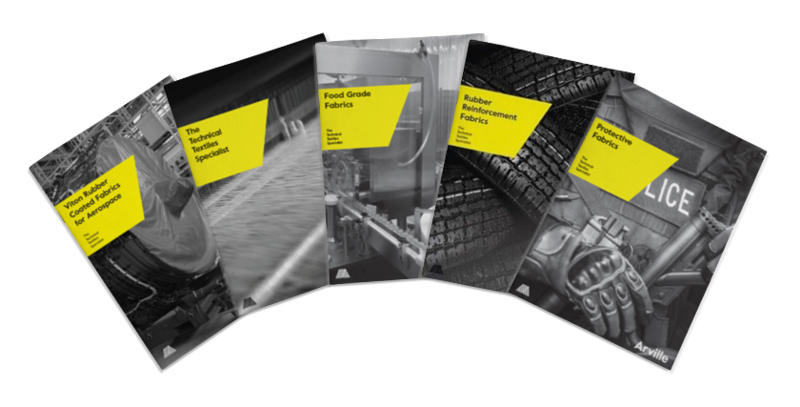 We have used our extensive specialist knowledge to put together a number of product brochures and technical resources that you can download for free below, covering everything from specialist PPE textiles and food-grade fabrics to belting, weaving and woven filtration media. To find the technical resource most suitable to your requirements, please use the filters to highlight your area(s) of interest.